Earlier this weekend, Fox News reported that Rep. Jason Lewis, R-MN., has contacted police over threats allegedly leveled at him and his daughters in the wake of a CNN report regarding controversial statements he made as a radio show host back in 2012. “It was serious enough for my office to alert the Capitol Police,” he told Fox News. “It’s becoming very, very dangerous for members of Congress and our families,” Lewis added. “[T]he new thing is that, ‘you’re a bad person because you said something.’ It’s not even about actions anymore. They’re defining speech as a character flaw,” he said. Rep. Lee Zeldin, R-N.Y., also revealed threats against his daughters this month, telling Todd Starnes that “some of the stuff that has been said has been quite sick” and the number of threats has increased dramatically since the last election. Total reported threats against congressmen doubled from 2016 to 2017, according to the House Sergeant at Arms. 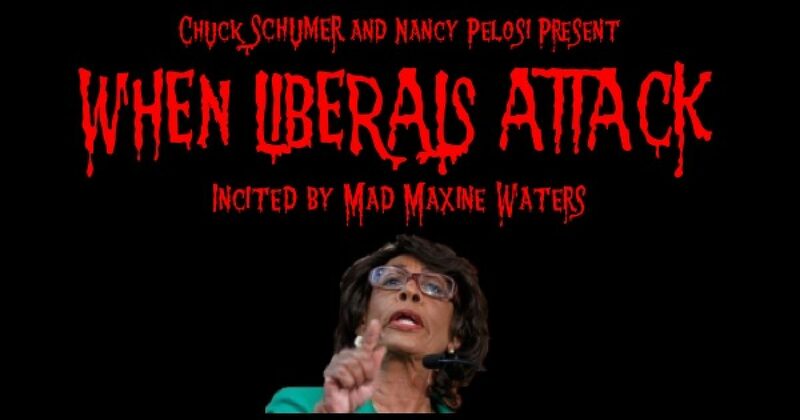 “I don’t think Waters should get threats either, but show me the Democrat member of Congress who’s been assaulted, driven off the road, or had their homes visited. It’s not even close to being equal,” Lewis told Fox News. How much further will this go? It’s already gone too far.